I’ve had the urge this week to explore school wellbeing policies. I don’t have any particular reason to do so, it was just something that I was thinking about and wanted to investigate. My findings came as more of a shock than I anticipated. You see if you do a google search on it, you’ll find plenty on student wellbeing but policies specifically associated with staff wellbeing, well they don’t seem to be as prominent as expected. Only one of these hits links to a policy that is in place. Just the 1!! Although there were some interesting hits on how to look after staff wellbeing and even a model wellbeing policy from NASUWT, there was a distinct lack of actuall policies. Since I didn’t find this search of much of use, I tried ‘School Staff Wellbeing Policy‘, having considered that it’s not just about the wellbeing of teachers, but every member of school staff. Thankfully this provides more relevant hits. The one thing I found interesting though were that over the first 3 pages of the search, only 3 out of 30 search hits were policies from Secondary schools; the majority came from Primary. Why is that? Do Primary schools focus more on staff wellbeing? Maybe they make them easier to find on their websites or just that they are more likely to make them publicly available. Finding that most of the examples available came from Primary Schools, it got me wondering about the schools I’ve worked at. So after a bit of digging I found that out of the 5 schools, 0 have a staff wellbeing policy publicly available or perhaps they are hidden in the depths of their websites; either way I felt frustrated that schools don’t have to publicly provide a staff wellbeing policy. All of them have significant policies in regard to student wellbeing, everything from general wellbeing to safeguarding and bullying. But where were the ones for staff? In particular, finding that one still had no publicly available staff wellbeing policy in place, actually upset me. This is because at the this school, I’d been asked to write a wellbeing policy because “you’re into that stuff”. It was only a few months later that I then experienced a breakdown due to work related stress – there are others that left under similar circumstances. I’ll let you ponder on whether there is a relationship there. There were a few themes running through all of the policies I read. The role of different members of staff and teams in the school from the Headteacher and Governors to individual teachers and support staff. What I found most interesting though was the variety in many of the policies. Some policies made the Headteacher and Governing body responsible for staff wellbeing, whilst others made it very much about the individual taking responsibility for their own health and wellbeing. The well-being of staff is the responsibility of the Head teacher. The well-being of the Head teacher is the responsibility of the Chair of Governors. Counselling services – face-to-face or over the phone. Whilst others took a very matter of fact approach which outlined the responsibilities and roles of different stakeholders and how to proceed with concerns surrounding wellbeing, work-based stress etc. Some went on to outline the reponse that would be taken if concerns were raised or time off requested. If I’m honest, these ones left me wondering to what extent these schools support staff or discourage staff from raising concerns surrounding staff wellbeing. I guess I’d need to visit them to really gauge the answer to that. ‘Individuals will assist in the development of good practice and ensure that they do not, through their actions or omissions, create unnecessary work for themselves or their colleagues”. This statement really surprised me for several reasons. What constitutes ‘unnecessary’ work for themselves and others? How can one ensure they do not create unnecessary work? Will there be a list of ‘must-do’ and ‘don’t do’ work? This also got me pondering about the capability procedures associated with the actions and omissions, if you’re not contributing to the development of good practice, are you then creating further work for others? It really got me wondering. What makes a good staff wellbeing policy? Note: This is completely a personal consideration, I’ve not had any experience in HR or school leadership beyond HoD but I have experienced the negatives of poor work-life balance, a series of schools with different levels of consideration and support for staff. Therefore please don’t take what I say here as anything other than my opinion. Firstly any staff wellbeing policy should identify what the school aims to achieve for staff overall. What does ‘wellbeing’ actually mean to the school, the leaders, the staff? How will they cater for everyone? It should direct to other policies in place that support staff wellbeing e.g. marking and assessment, behaviour, sickness and absence, safeguarding, performance management, professional development etc. If these policies don’t already, the wellbeing policy should briefly outline how these other policies support and promote staff wellbeing. The policy should outline who the stakeholders are such as the Headteacher, governors, SLT, teachers, support and office staff along with their role and responsibility in building an environment that supports and nurtures it staff, their wellbeing and their work-life balance. Next should be an outline of what the school is doing and will do over the time frame of the policy and then beyond. Actions that will help to manage and reduce workloads, that will value staff and provide solutions to challenges. Essentially it comes down to how will they address stress. This doesn’t mean the introduction of ‘wellbeing’ activities – token gestures that falsely shout “we care about you”. Actual strategies that help to manage workload, foster a work-life balance and support staff during stressful school periods or events in their life. This does mean… no enforced ‘Wellbeing Days’, the kind where staff are sent off to do activities that if they wanted to do them they could do in the time they gain from better working practices,policies and procedures. Sure offer activities before and after school or at lunchtime that staff can join in if they choose too such as after school exercise classes, morning yoga, tea with the teachers etc. but don’t make it compulsory or an explicit part of the policy. Instead it should be outlined as provision of opportunities and not compulsory activities. Practical actions should be associated with other school policies and thus actions that help to support staff, their workloads and to manage whole-school or individual challenges. Next the policy should outline the support available in the school and the procedures in place to guide staff in what to do when they are struggling. This could be people to talk to and people that can guide and help within the school such as HR and admin, the school nurse/counsellor/wellbeing team and of course the Headteacher. No body should be afraid to speak to the Head of the school, if they are in my opinion they are doing the job wrong. In addition to the support available and the procedures to take within the school, the policy should also outline how staff can get support elsewhere such as through national and local organisations and charities. The school may provide a wellbeing package to its staff which may provide staff with access to counsellors and other services; this too should be outlined and contact details provided. Finally, the policy should outline how they will manage any issues that arise. This should be a set of procedures so staff know exactly what to do, who to talk to and what the potential responses will be. Perhaps more of a decision tree rather than a set of bullet points is what I’d envisage. This is so staff can clearly see the steps and procedures in place to support them, the help them manage and to enable them to thrive. I’m not entirely sure where I’d place this, but I do believe there should be an outline of how the impact of the policy is assessed, how wellbeing is monitored and how frequently the policy will be reviewed. The review process should involve all members of school staff and should have a degree of frequency i.e. termly, annually. The last thing I’d like to say on the matter though is that the policy isn’t necessarily the important part here, it’s the implementation and enactment of the aims, actions and procedures to foster an environment that values and cares for its staff. It’s about the creation of a workplace that places student and staff wellbeing in the same high regard and the development of working relationships that demonstrate care, compassion and empowerment. Why? Because we want the best for our students. Happy, healthy teachers can create happy, healthy students. Please feel free to share your experience of school wellbeing policies, the good and the bad. Categories: MrsHumanitiesExplores, Wellbeing, Workload | Tags: Wellbeing, Workload | Permalink. Are you planning on spending some of this half term planning lessons, SoW etc? Why not try to save yourself some time and give a #PlanningShoutout. Do you plan on planning this half term? Why not ask for a bit of help with a #planningshoutout. State what your going to be planning along with the hashtag and we'll work together to share what we can. Save time, reduce your workload and help each other out. It’s pretty easy, head over to Twitter. Write a tweet outlining what it is your planning and add the hashtag. You might want to include any subject specific tags such as #TeamGeog, #MFLTwitterati or #TeamEnglish. It’s a simple idea so we can help each other to reduce our workloads and spend more time relaxing in our well deserved breaks. So far there have been quite a few requests and lots of replies with offerings. Categories: Planning, Workload | Tags: #PlanningShoutout, lesson planning, Workload | Permalink. Oh my, what a year it has been. It’s been a year of being out of my comfort zone, a year of taking action and a year of raising my voice on matters that mean a lot to me. When I first found the courage to acknowledge and share my experience of a work-related breakdown, I did so to help others. I never thought it would lead to the opportunities I’ve experienced throughout this year. It has been a whirlwind of excitement and nerves. The year started with the news that I was a finalist in the UK Blog Awards for the 2nd year, this was shortly followed by an offer from Routledge Education to write a book; after being invited to write a proposal in Summer 2017, my proposal was given the go ahead. What a crazy but exciting start. January ended with another visit to Canterbury Christchurch University to present at the Beyond Levels Conference. Loved it again. After Beyond Levels came Southern Rocks hosted by Kristian Still and David Rogers. This was a really enjoyable event, took plenty away and inspired a number of others to look into feedback rather than marking through my presentation. February continued with my birthday but more importantly the 2nd birthday of Teacher5aday Buddy Box. This gave myself and a few other buddy box participants the perfect excuse to meet up over pizza. Next up one of the highlights of my year, TMHistoryIcons. The last few years I’ve been the token Geographer that’s allowed to present. Additionally it will always hold a place in my heart for being the first teach meet I presented at. Whilst I may no longer teach History, I still love to keep up with the world of History teaching just in case I head back in that direction. It also helped that for the academic year 2017 – 2018, the NQT I was mentored was a History teacher. I’m gutted I can’t go this year, partly due to its location and partly because I’ve volunteered my services closer to home. I will miss my annual dose of TMHistoryIcons and more importantly Tom Rogers. This month I flew by. I also flew on a plane, this is a big thing for me as I hate flying. I’ve only ever flown once before and that was to and from Iceland for school trip. This time it was to the Bay of Naples. I loved it there. The history, the geography. I was in my element. But I hated the flying part. That alone makes me feel like I was 10% braver. 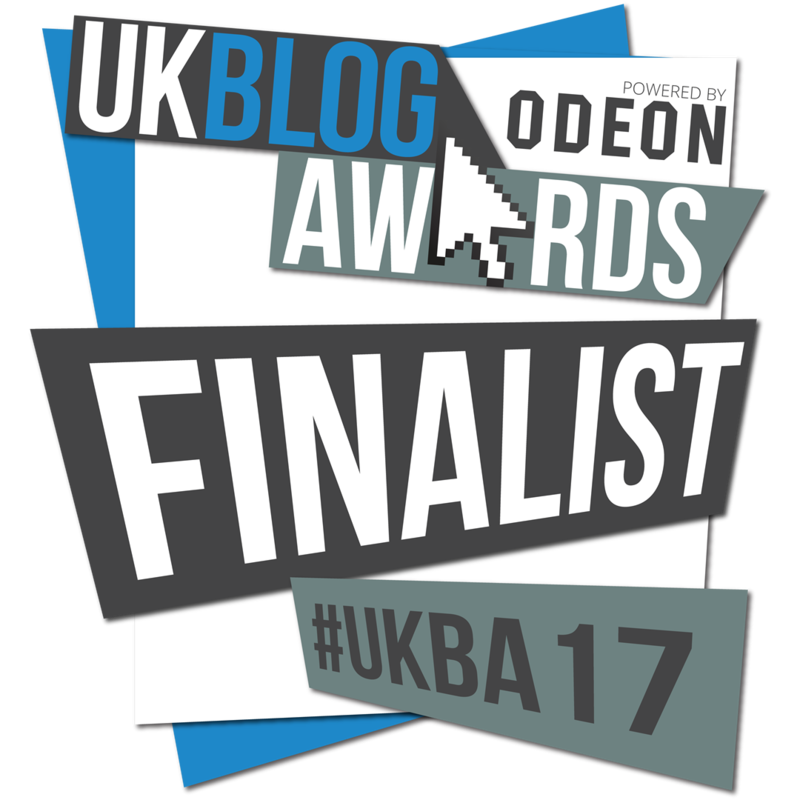 April ended with the UK Blog Awards. Myself and Bethan (History NQT) had a blast. I caught up with Ross McGill (Teacher Toolkit) which left Bethan and I both feeling a little star struck. Whilst I may not of won, the evening was so much fun (again). May was spent preparing for the upcoming GCSEs. My class had been awesome, they helped me to love teaching again, I started teaching them in the September after my breakdown, their enthusiasm and humour was contagious. I was going to really miss them, so I made them little GCSE survival packs which they loved. When they sat their first Geography exam, I overheard some of them on the way in wishing each luck and telling each other to do Miss Hewett proud (and they really did). They don’t know it yet but I’ve dedicated my book to them as a way of saying thank you. This month I also spoke to a journalist from the Guardian about burnout in teaching and my experience. You can read the article here. What a month June was. It started with taking part in a panel discussion on teacher wellbeing at the Festival of Education with Julian Stanley (Ed Support), Vic Goddard and Adrian Bethune. It was nerve wracking but an awesome experience I’d love to take part in again. It was disappointing though that a panel on a topic of such importance was hidden away from the main area which meant despite eventually having a standing room only audience, many people missed the beginning as they walked to distance to get there. Hopefully if Ed Support are invited again this year, the event organisers place them more centrally. This was followed by an overnight stay in Rugby for ResearchEd. What a beautiful school that was. The event was really interesting with lots of ideas to take away and thoughts to consider and digest. I also presented as part of the Humanities strand on moving from marking to feedback. 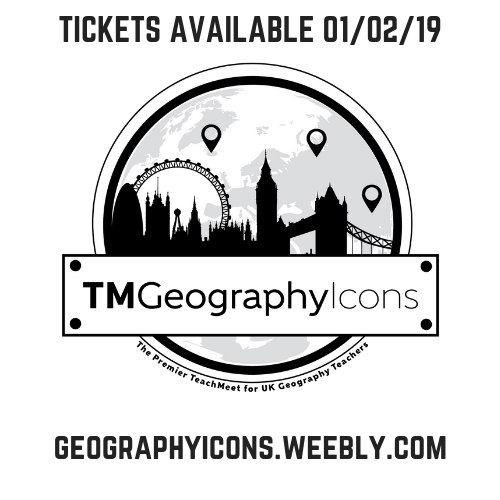 Next up was my favourite event of them all, TMGeographyIcons. I’m probably a bit biased there though as I am the lead organiser. The event was a huge success thanks to the help of Jenn and Gemma. It would not have been the event it was without their help and support. The day brought together over 100 Geography teachers from across the UK to share and discuss. Our keynote speaker Alan Parkinson was fantastic and each presenter brought something for others to take-away. Really looking forward to the 2019 event. Gemma and I have some very exciting plans so watch out for further details in the new year. For now you can find all the presentations from the 2018 event here. June ended with the Teachwell Fest at Vic Goddard’s school, Passmores Academy. It was an event that was different to all others I’ve experienced. I decided I would share my experience from breakdown which turned out to me quite an emotional rollercoaster. It was the first time I’d ever discussed my experiences with an audience. It was small but supportive. It was difficult talking about my journey but I needed to do it. I’m glad I did it as it has put me in a much better position to be able to help others. July was a quiet month. Apart from book writing, it was month for relaxing when not in work. The summer disappeared very quickly. It started with some filming with the Education Support Partnership and was followed by a few days away touring the battle fields of France and Belgium with the husband and his nephew. The remainder of the summer holidays evolved around writing ‘Making it as a Teacher’. Whilst I’d written bout 20,000 words between January and July, I wrote over 40,000 in just 4 weeks. I was amazed by my capabilities. It was a challenging process, very different to writing blog posts but I massively enjoyed it. September has been characterised by an annual trip to Hampshire for Pedagoo for the last few years. It has always been a pleasure to attend, see people and to say hello (and thank you) to the inspiration that is Martyn Reah. Pedagoo Hampshire was the first time I presented on the topic of feedback and sparked my engagement in the movement. This year I returned and shared my experience of breakdown again. I spoke to a number of people at the event and the feedback was humbling. I just hope it inspired them to go away and make a change. Another quiet month spent finishing off the book. Oh wait, that’s a lie. I was invited to speak on BBC Breakfast about teacher wellbeing, workload and mental health. What an experience that was. I was on TV talking about mental health and teaching!!! I sent off my book manuscript before the deadline. Will update you when I have a publication date. A lot has happened this that I’m extremely proud of. A lot of things that I would never have had the opportunity to do if a) I hadn’t gone through a breakdown, b) if I hadn’t spoke out about my experiences. Despite the hard times, I am very grateful for the person it has made me and the opportunities it has opened up. However, the thing I think I’m most proud of is being able to be there for others, to be able to be someone that others can turn to for advice, guidance or a rant, someone that shows it doesn’t have to be the end of a career in teaching. If you ever need to talk to someone about workload, your mental health or just need a friend. Please feel free to get in touch with me, Ed Support or someone else supporting #Talk2MeMH. Hope you have a great end to 2018. Categories: Personal Post, Wellbeing, Workload | Tags: Wellbeing, Workload | Permalink. This is a post I’ve had on my mind for a while but haven’t wanted to write but then I decided that actually I would as I’d also do a post to counteract it with 5 reasons to stay in teaching. We need more teachers; teachers are leaving the profession and few are being replaced. The numbers of teachers in secondary schools has fallen whilst the number of teachers leaving for reasons other than retirement has increased by 34,910 between 2011 and 2016. Yet the number of students is set to increase by 19.4% between 2017 and 2025. So why are teachers leaving? The following five reasons are based on my experiences and those of many teachers I have spoken to over the years. Current accountability structures were introduced originally in 1988 as part of the Education Reform Act with the introduction of Ofsted and league tables yet it’s been Gove’s legacy that has had the most significant impact on teacher and school accountability in my opinion. Accountability is important to maintain sufficient standards of education for all but it’s the way it has been implemented more recently and combined with performance related pay that has impacted teachers the most. Ofsted and league tables already have a widespread impact on teacher workload, wellbeing and stress. In my first two schools, I feel as though I heard the word Ofsted more than I heard the word student; yet we are in our schools for the benefit of our students. Everything we do should be for them, not for Ofsted, not for the LA, not for the MAT boss making big bucks but for the students in our care. There are many examples from schools across the country whereby strategies have been implemented not for the benefit of students but to tick box in preparation for Ofsted. Strategies that have had little to no benefit for the students; so why were we doing them in the first place? It takes a brave and honourable leader to stand up and say ‘other schools maybe doing it, but we are not because it doesn’t impact on learning’. But the introduction of performance related pay for something with so many external influences is damming. For many this meant setting specific targets for pupil progress and specific targets for performance in observations and scrutinises of different kinds. These targets were set by the school. The lack of autonomy in the PM process for many and the implementation of specific targets, some of which are impossible to achieve due to external factors has massively increased the stress experienced by teachers to perform whilst also leading to a great deal of micro-management in order to help others to meet their targets. It’s been crazy for many, stressful for others and downright impossible for some. Resulting from the introduction of greater accountability and new performance management measures, teachers have also been finding their workload increase exponentially over the last 5 years or so. Often the workload has been associated with either doing it to cover ones back or to tick boxes for Ofsted, Mocksted, parents or performance management. Too often workload has increased not a benefit to learners but merely to say it is being done. Take class profiles for instance; in my first school class profiles were introduced to give to any observers. These outlined the class, their achievement, progress, concerns etc. ; imagine doing every term for 12 or more groups of students. I never felt this helped me to improve my students learning; instead just a tick box exercise of justifications. In my opinion the unnecessary tasks that distract from the assessing of learning and planning of progress are the biggest distractions to improving education in our schools. Along with unnecessary workload, another major influence on teacher wellbeing and the workload crisis is the impact of constant change. So far, I’ve been through just two governments in my teaching career, yet it feels like many more as a result of the political input into the UK’s education system. Each time there’s a change of Secretary of State for Education there are new policies and changes to implement; that’s 4 to date for me and despite the name change of the role, others have seen many more ‘in charge’ of education in the UK. Along with changing ministers, comes changing examinations. I’ve taught with levels and without levels. I’ve taught with the national curriculum and without it. I’ve taught in a comprehensive converting to an academy, an academy, a MAT and a free school. All within 6 years. Some of this was chosen change, others were enforced change all of which those increased workload as it wasn’t possible to just ‘transfer’ resources from one situation to another. Each school their own way of doing things; each exam spec was different; each had new implemented strategies that had been noted in another school as good practice and thus we had to implement just in case. The change to qualifications, curriculum and testing has probably had one of the largest impacts on workload, in my eyes especially for those teachers in schools teaching both GCSE and A-Levels. The introduction of new testing; the removal of levels and new qualifications have meant a lot of change all at once for schools, subjects and teams to implement alongside dwindling resources and money. All of which has increased workload, stress and poor mental health of teachers. A fine example of micro-management and poor leadership. Limited autonomy has a huge impact on teachers; imagine being faced with a school leader that tells you what you can and can’t do in your classroom; that tells you to do things you damn well know will have little to no impact on your students; that tells you to follow me and you’ll be outstanding; that doesn’t let your own way shine through. Imagine how uninspired you’d feel, how your enthusiasm would drain; how ticking boxes to please that person rather than to benefit your students becomes your norm. No thank you. Yet too many people have experienced this. The list of non-negotiables. The do it this way or take the highway out of here routine. Or worse still the you’re with us or against us, so we’ll put you on PM measures that mean you’ll hate working here and we can soon get rid of you approach. This micro-managing and in some instances, bullying is driving teachers out of the classroom. We train to teach because we want to teach. We want to give something to our students. We want them to take knowledge away. We want them to develop skills. We want them to be life-long learners. We want them to enjoy and be happy in school and life. If we’re not allowed to do that; our souls become drained. Our happiness withers. Our love for the profession dwindles. We leave. Ever had the kid turn around and say, “my mum says you’re just a teacher, so I don’t have to listen to you’? Thankfully it’s happened just the once; but who has the right to say that? No one is ‘just a….’. We work hard in our jobs, whatever job you do whether a truck driver or dentist, teacher or neurosurgeon you’ve worked hard to get where you are. You’ve put time and effort into your job and/or career. Everybody is worthy. Just because we’ve chosen to be teachers doesn’t mean we couldn’t have been something else if we wanted to. Teaching is incredible, every day is different, every student is different. We learn as much from the kids as they learn from us; what we learn is just slightly different. Yet people envisage that we have 13 weeks paid holiday where we go galivanting around the world, sunning ourselves and relaxing. When in reality the majority of us spend much of our time working over the holidays or recuperating after the last slog of several weeks of hard and tiring work. A recent survey by the Education Support Partnership found that teachers expect to work eight days over the holidays up from six days in in 2013 and that’s just from the 811 surveyed. I’ve been guilty of working far more days in the summer than 6-8; as I know others have been. Fortunately, I’ve now I’m working in a school that considers workload and have developed my own strategies for reducing my workload meaning I’m sure I can limit my time working to less than 8 days. Teachers work hard for their students and those that don’t are few and far between. Teaching as a profession needs higher recognition in the UK simple as. Greater recognition for our professional status, greater emphasis on professional development and efforts to retain rather than recruit will help to maintain numbers. There are so many other reasons teachers are leaving teaching other than those above. What would you add to the discussion? Feel free to leave comments. Categories: MrsHumanitiesShares, Workload | Tags: Workload | Permalink. As I come to the end of my 6th year in teaching, I wanted to reflect on what I’ve learnt this year. I feel like this year, my practice has developed, I’ve managed to balance work and life effectively and I’ve learnt more and more about pedagogy and education politics. This academic year has seen lots of involvement in conferences and events as well as supporting the work of the Education Support Partnership. It’s been a good year, so here’s a reflection on 5 things I’ve taken away from it. Note: This is the second (and not as good) version of the post I originally wrote but unfortunately technology did not wish to work and it didn’t save. 1 // If it doesn’t benefit my students, why am I doing it? I’ve learnt to question everything I do, to consider the benefits it has for my students and thus whether or not to do it. Obviously, I still have to do the things required of me by the school like writing reports and that, but I do question what I’m doing and why in order to make it have the greatest impact possible. When it comes to my own classroom practice, I think I’ve been teaching long enough that I have go-to strategies that I know work and whilst I try the odd new activity or approach I try to keep consistency for my students (and myself) and no longer try too many new things like I probably did in the first few years in order to find what worked and that my students ‘enjoyed’. Before implementing anything, first consider the impact on students. How will it benefit them? This one has worried me at times, how differentiation seems to be so misunderstood by many. I’ve had many NQTs and trainees say they’ve been told to show differentiation in lesson observations; things like individual worksheets for each student with their target at the top and work to help them meet that target (crazy I know), having students do different tasks based on their prior attainment, grouping students into high, middle and low and giving them work based on their ability… the list goes on. Not only does it create excessive levels of work for teachers, it limits a student’s progress. Overtime my understanding of differentiation has developed with research, action and curiosity. I will admit I was guilty of using the ‘spice challenge’ for differentiation in the past, but I never limited which one students could do, so long as it challenged them. It was always their choice. But there have always been the little things too like word lists, scaffold sheets etc. and plenty of choice. Additionally I like to give students independence and responsibility for their learning by making differentiated resources available to all so students can opt to make use if they wish to do so. We need to remember that differentiation is more than just the task we give students or small adjustments and provisions we make such as coloured overlays or paper, it’s a teacher’s response to learner’s needs and therefore can be planned or unplanned, long term or short term, explicit or subtle. These days I’ve learnt to teach to the top and differentiation down through the use of scaffolds, feedback and in-class intervention strategies. Appears to be working. I’m no expert on the matter, but here’s a free CPD resource on it. As much as you might not want to say no, learning to say it is vital for your own sanity, health and wellbeing. Teachers (generally speaking) want to do well for their kids, they also want to be good at what they do and that also means we sometimes take on far more than we should. Before my breakdown, I struggled with saying no. Partly due to my desire to succeed, but also partly due to the performance management process. The performance management process, which for many involves book scrutinises, observations, crazy targets etc. etc. has had a hugely determinantal impact on our ability to say no, both to requests from others and to ourselves. It’s important that we do though. In my last school, books had to be marked every 4 lessons. For me that meant marking every night which would take 3-4 hours to do a set. I had between 12-16 classes each year over a two week timetable across the humanities (Geography, History and Opening Minds) as well as ICT. I didn’t want to ‘fail’ book checks so made sure I kept up to date. I even had a marking timetable to keep track. That was unhealthy I realise. I’d stay up to around 9 every school day, just marking books as there was no time in the school day. So that meant my day consisted of wake up, go to work, teach, admin and phone calls, go home, eat, mark, sleep and repeat each day. Where was the life? Now I’ve learnt to be strict on myself when it comes to a work-life balance. I don’t have kids, so I can stay in school until 5-6pm get all my work done then take nothing or very little home. Usually if I take anything home it’s the last few essays I haven’t finished marking and want to finish, but that’s because I want to not because I feel I must. I’ve never had students complain when their work wasn’t marked for the next lesson, that’s who we do it for so why worry about book checks? It’s important to be able to set yourself limits and stick to them, but know you can alter them if you need to. Don’t take on too much, if you can’t fit it into your directed time and the hours you opt to work just say sorry, I can’t. Planning backwards is a skill I’ve developed over time and involves carefully planning learning not lessons . Ever since I set up the humanities department singlehandedly from scratch at my last school, it’s become one of my most honed skills I reckon. It takes time to be able to look at the bigger picture and work backwards; you need to consider the content, the skills and the development process of both. By doing so, I can plan assessments and feedback throughout the course, year and term. I can see how everything fits and works to develop the best possible learner I can create in a year, over the course and within the 5 or 7 year geographical experience within my department. It was hard work to begin with, but the one thing it has done is made me a more effective teacher. I’m constantly thinking about the big details and how they relate to the minute day-to-day teaching. By planning for progress, it has also meant I’ve reduced my workload. With my team, we planned out assessment, feedback and feedforward across each year group across the year to identify the work that will be formatively assessed, the work that will receive feedback and who the feedback will come from. Feedback as a result isn’t just the responsibility of the teacher; I train the students from day one to be able to give their own feedback to their peers and to themselves. In the end this helps them to self-regulate and progress effectively. Probably the most under-rated skill in a teacher’s repertoire. Seriously, I’ve become a master organiser since becoming a teacher – possibly to medically diagnostic levels but still it’s a vital skill to have to help limit the stress, particularly of deadlines. Know the school calendar or at least regularly check it. Take note of upcoming deadlines and organise your time to be able to complete them in time. It reduces stress and anxiety, I promise. It can also help Heads of Departments and your Line Manager, if they don’t have to chased you; making them happier too. Print resources at the beginning/end of the week ahead. Stops you just ‘adjusting’ lessons in your PPAs so you actually spend time doing things you actually need to do. Plan your PPAs. Have a definitive, yet realistic list of what you want to complete and aim to do it. Avoid distraction, when I was stressed I’d always go and do what I didn’t need to do usually lesson planning as it was the one thing I enjoyed. This only made things worse as I’d still have to face the task at some point. Delaying it just it more stressful. Keep your resources organised. I have folders for each year group on a desk at the front of my room. I keep resources in there when we’ve used them. This means students can always catch up and I have the resources ready for next year. Admittingly I need to organise them as at the moment they are just shoved in there, but I’m waiting for a filing cabinet to become available. What have your takeaways from the year been? Feel free to share them in the comments. Categories: Differentiation, MrsHumanitiesShares, Personal Post, Workload | Tags: MrsHumanitiesShares, reflection | Permalink.